The Android operating system from Google is fast becoming the most popular smart phone operating system around. Some smart phone manufacturers were slow to realise the potential of the operating system – however, it is now a serious competitor to Apple’s iPhone operating system. 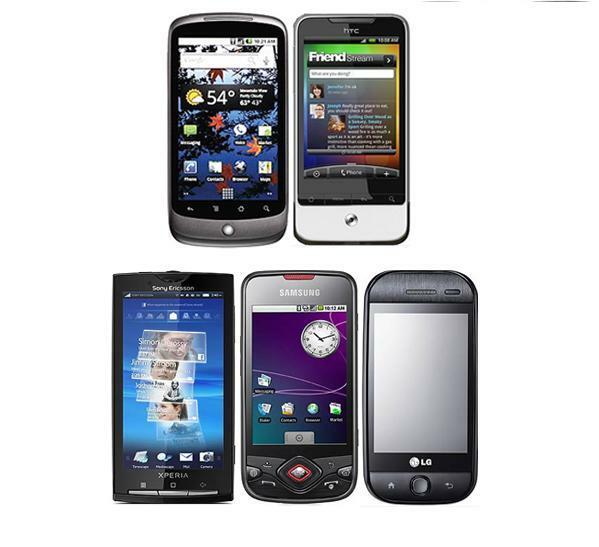 Following are a few of the best smart phones on the market that take advantage of Google’s Android operating system. Sliding keyboards were slow to catch on. They had a tendency to be a little on the fragile side and the screen felt a little bulky above the keyboard. The Motorola Cliq is fairly sturdy in its construction and it doesn’t feel like the screen in a hindrance to the keyboard. Coupled with Motoblur interface, this phone is a seriously fun phone that also means business. It has a good compatibility with various mobile social networking interfaces and runs all apps that are available to the Android platform. Another Motorola phone; this one doesn’t have a sliding keyboard – the keyboard essentially flips out from below the screen. The design is quite sturdy despite how it looks. It also uses the Motoblur interface (the Motoblur interface is a real winner in terms of ergonomics and looks). It offers all of the basic functionality found in the Motorola Cliq but has a great keyboard design. It also look fairly attractive as far as phones go. At first it looks like an iPhone clone – however this phone stands out because of its use of the Android OS. It has 4G capabilities and surfs the internet up to 10 times faster than 3G. Sprint bought this phone out for use on their network. However the phone has support for various other carriers and it is worth taking a look at if you are in the market for a smart phone. A smart phone offered by Verizon Wireless. Exemplary performance, screen resolution and an 8 mega-pixel camera built in. It also offers 4G capabilities as well as having a 3.7 inch screen. Not the cheapest option in regards to smart phone technology. However, the price more than makes up for it in terms of functionality – it really lives up to its name (incredible). It is a fairly sturdy design as well and has a minimum of moving parts. It is very similar in look and feel to the iPhone with a massive difference; it runs on the Android OS.